Can you say gorgeous!!!! 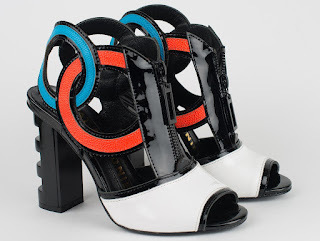 We are way past love and currently on to salivating over these incredible Kat Maconie Heidi Sandals. 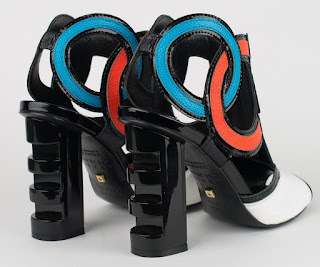 These magnificent architectural and geometric leather sandals boasts a red, blue, black and white patent leather upper, circular straps with glossy patent accents that are interlinked with each other, a zippered closure down the vamp, open toe, and a striking 4 1/4" block heel with cut-outs. Breathtaking isn't it? Not a fan of the quadruple color option? This stunner is also available in a classic black and white. Grab them both for $284.99 on www.heels.com or £195.00 on www.katmaconie.com. They're selling out fast, so you might need to hurry.